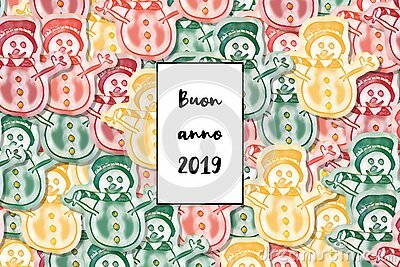 Merry Christmas and Happy New Year 2019 greetings text in italian language. Buon Natale e Felice Anno Nuovo Vector Background. Buon Anno, Happy New Year in italian language, greeting card.